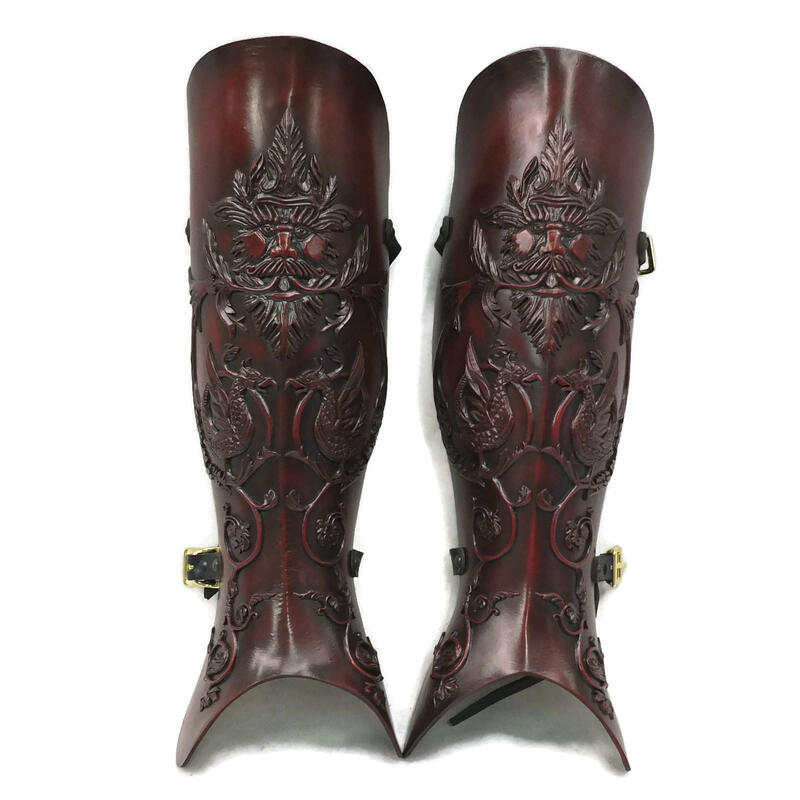 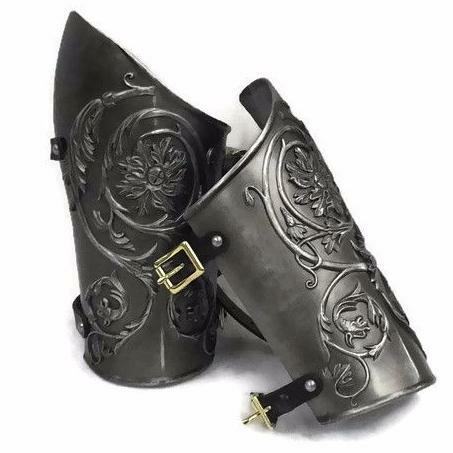 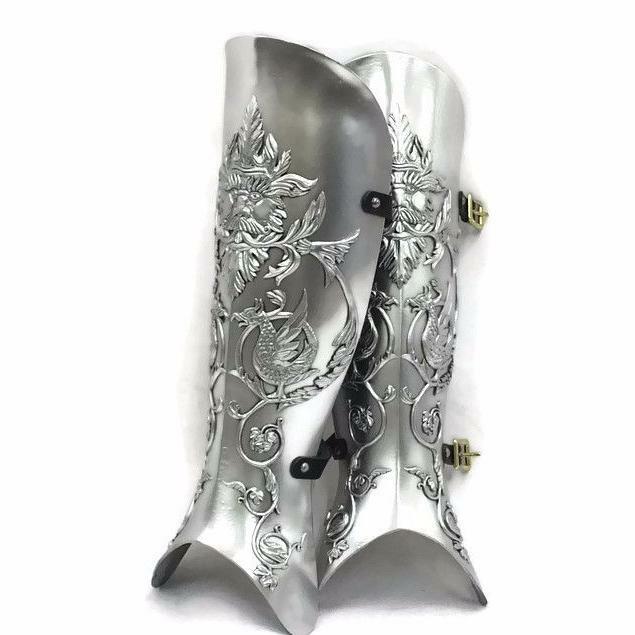 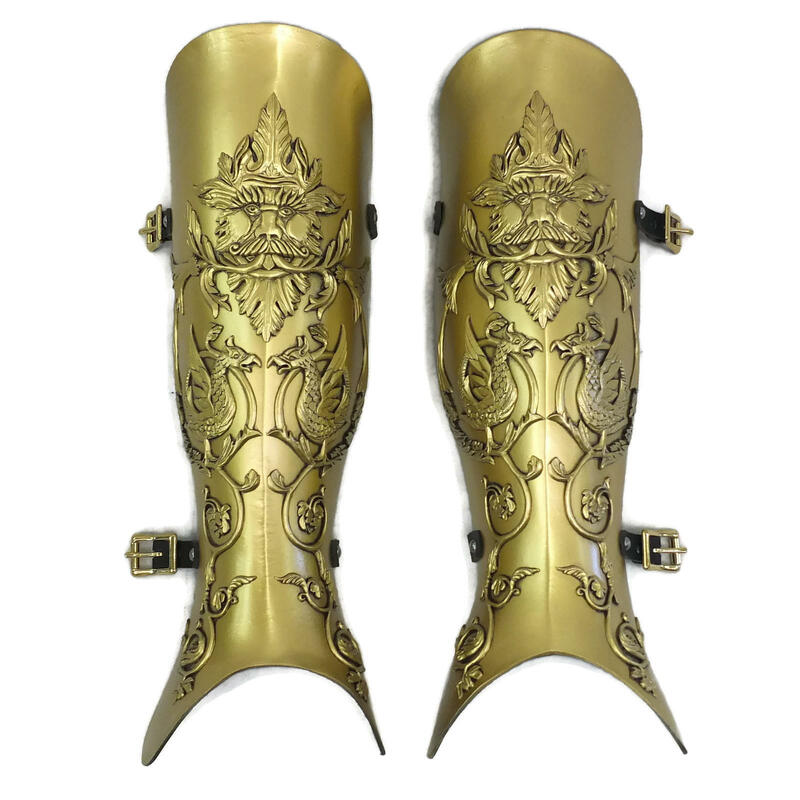 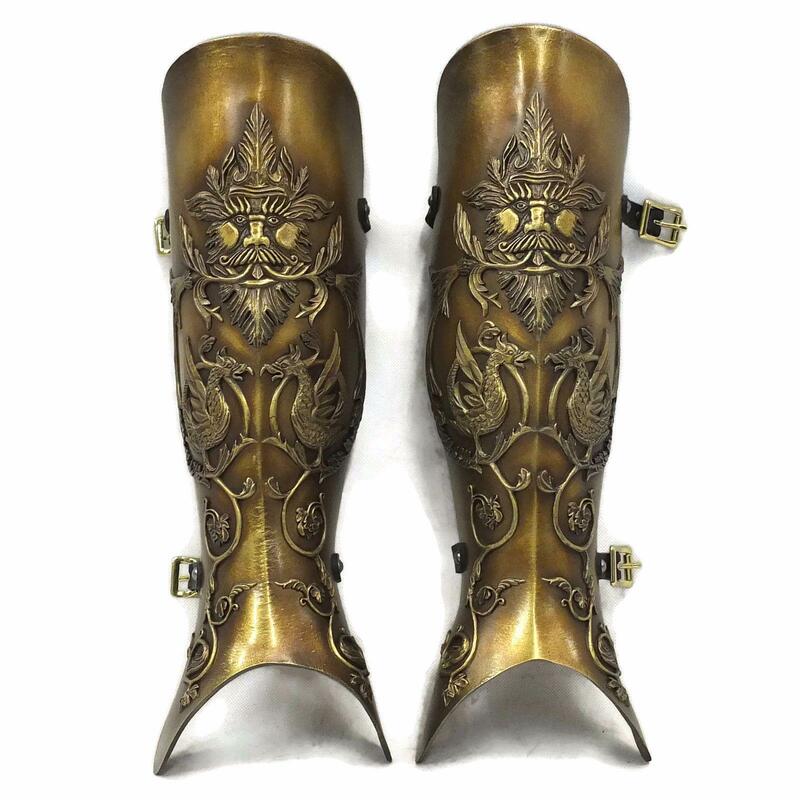 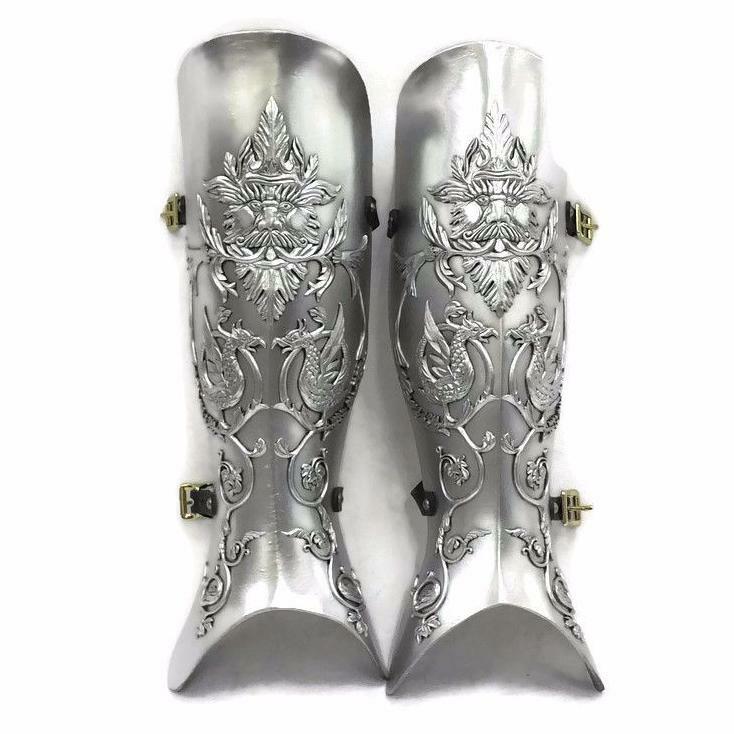 Highly decorative greaves based on the work of Filippo Negroli - a 16th Century Italian master armourer. 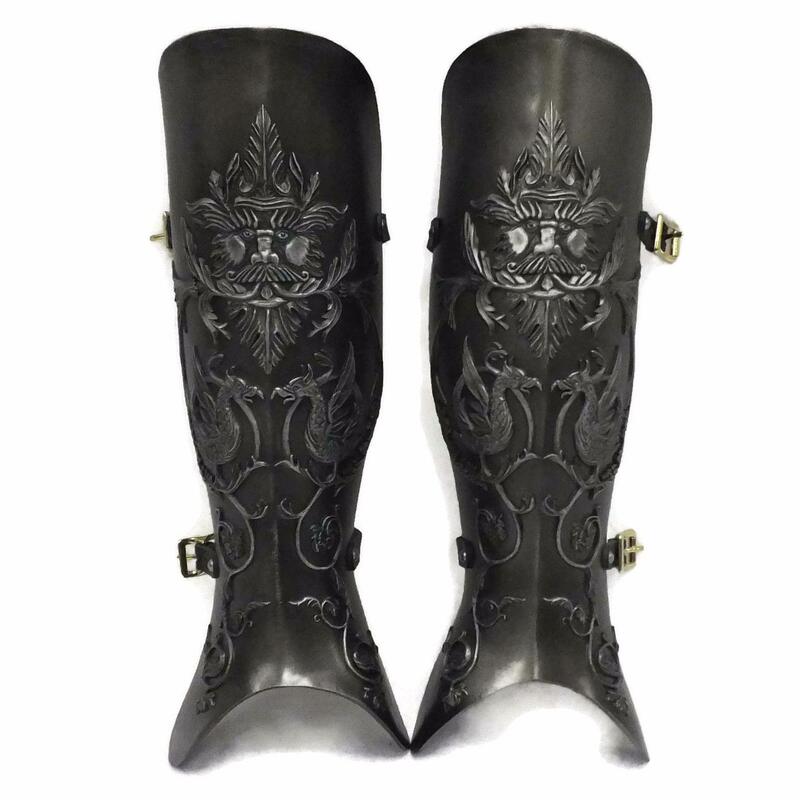 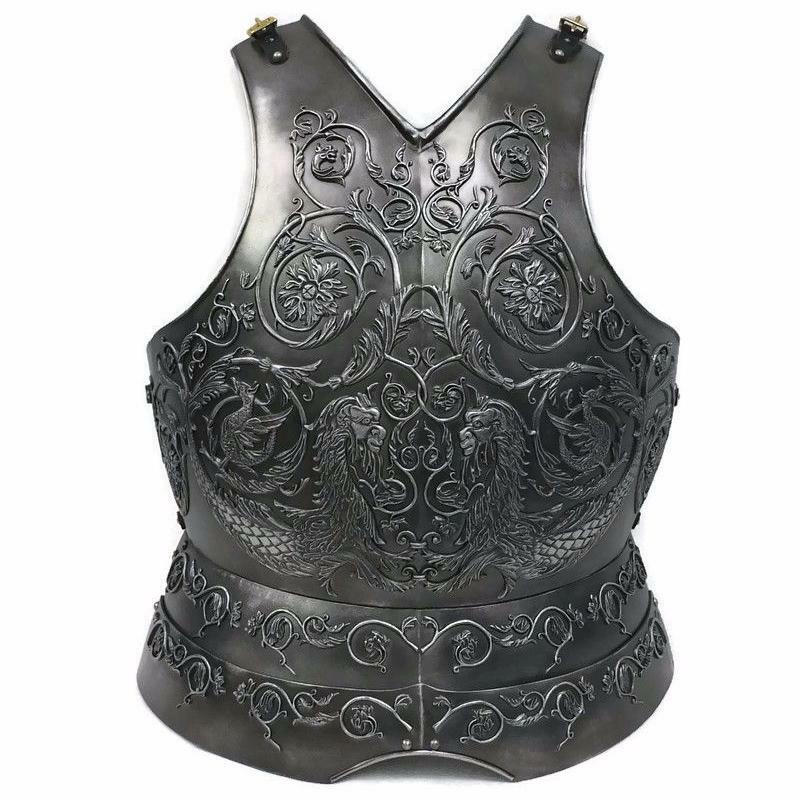 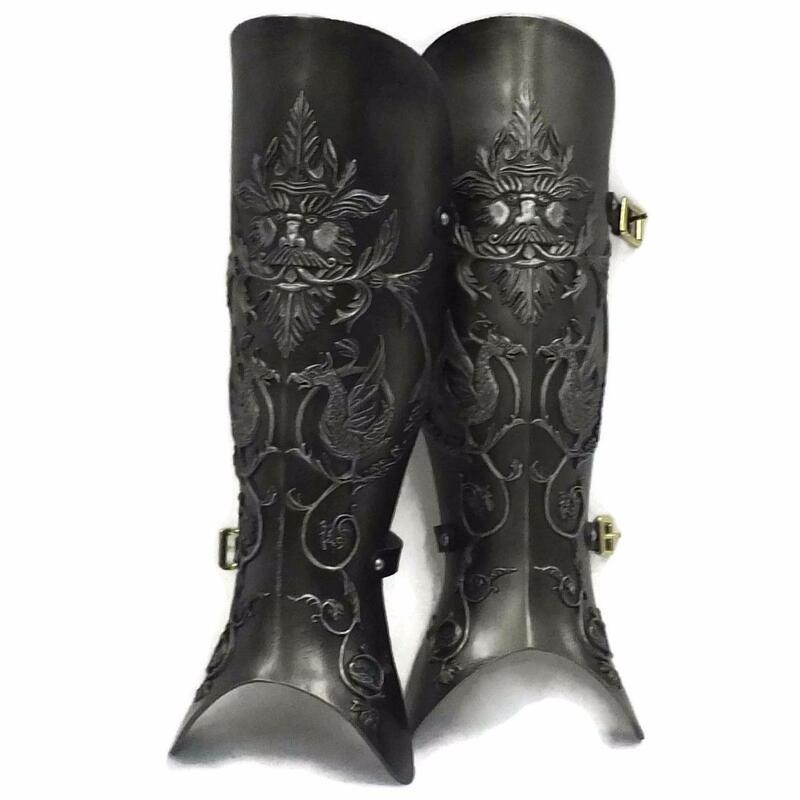 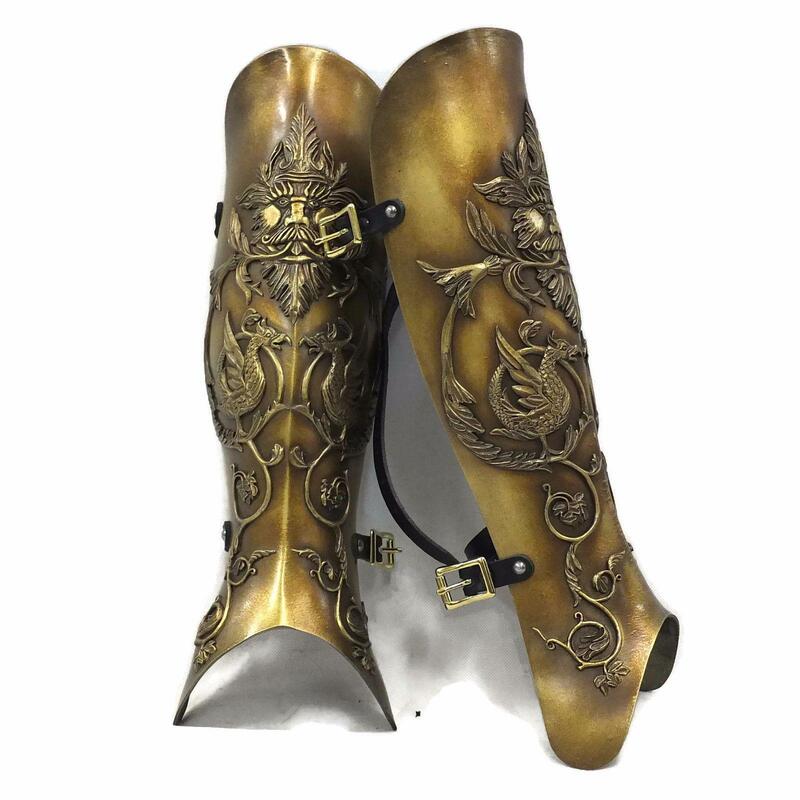 The greaves are covered in an embossed design comprising of Acanthus scrolls and fantastical beasts. 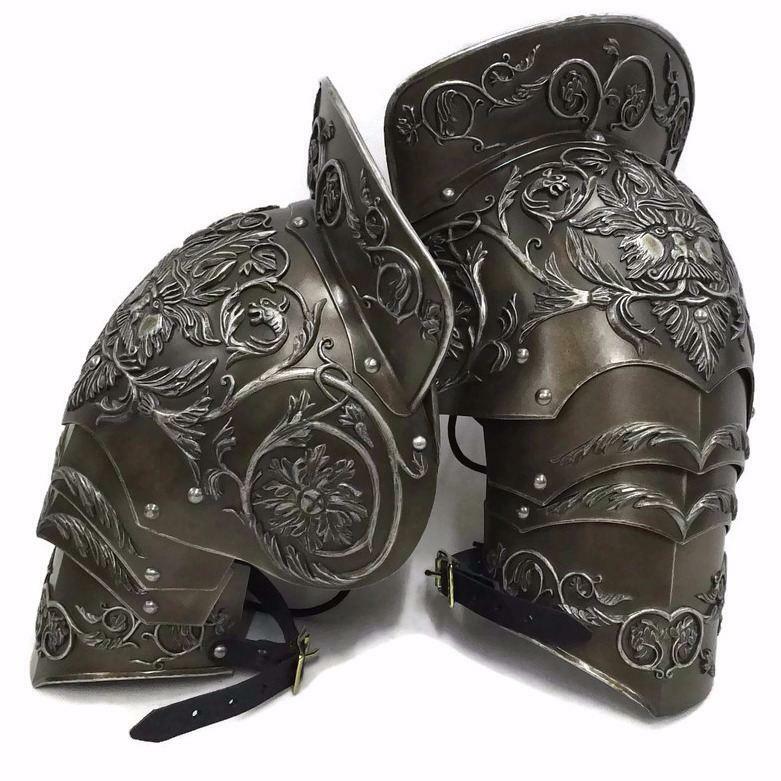 Also available as a whole set.